Growing up in Hawai’i, Cristin was fortunate to be immersed and surrounded with wonderfully eclectic music. Cristin has been singing and dancing pretty much since birth. From making home music videos with her sister, to singing at church with her family in the choir, and now travelling all over the United States, Asia and Europe for hula, music and dance has been an integral part of her life. She began dancing hula at the age of 4, and continues to love and learn more about the rich Hawaiian culture and discipline to this day. Cristin began playing the ukulele as a child and in the last 5 years has made it a focus of hers as she brings it on her travels to share its beautiful sound. 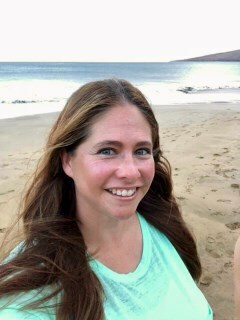 Cristin has a love of working with young children and earned her BA in Early Childhood Education specializing in Birth through 5 from San Francisco State University in 2005. She has also been a preschool teacher for the past 14 years. However, her greatest joy and learning source is being a mom to three wonderful children. She is thrilled to join MusicTogether SF, and continue providing exciting, fun, and nurturing experiences for young children and their families through music.